Criminal Justice Services uses Amazon and Create Space for merchandise sales. Any questions regarding any GPS merchandise please contact us and we will gladly provide you with details on any item. If you would like to submit your review of a product you purchased from GPS please email it to us via the contact page. Thank you. 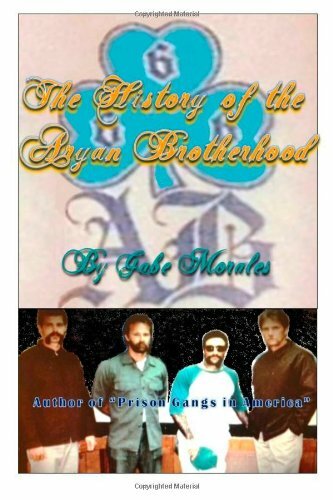 "The History of the Aryan Brotherhood" starts at San Quentin, follows at Folsom Prison, and other California institutions, into the Federal system, to other states, and out on the street. See why the AB is feared everywhere. The Author took passages from his earlier book, "Prison Gangs in America", expanded and updated it to bring you a rare inside view of the AB and its influence on the criminal justice system. The book has a 12 pt. font so take the 1 star reviews with a grain of salt, but it is available in larger font for those who wish to see it bigger. 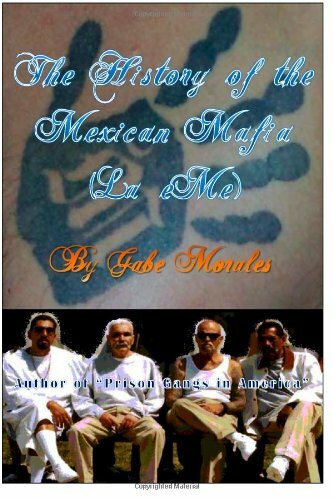 The History of the Mexican Mafia tracks the evolution of La EME from its beginnings in California Prisons, to taking over the streets, and spreading to Federal Prisons. It is filled with over 200 pictures as well as historical documents. It also shows ways we might prevent prison violence and recruitment into these gangs. The book has a 11 pt. font which is readable by most people who don't need glasses, but is available in larger font for those who wish it. 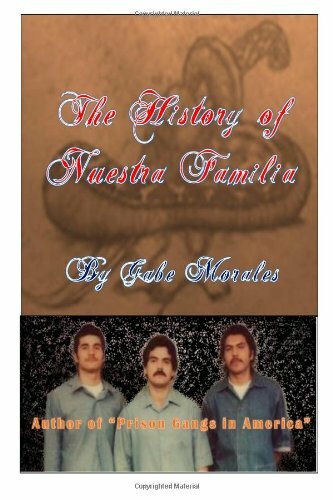 The History of Nuestra Familia tracks the evolution of the NF from its beginnings in California Prisons, to taking over the streets, and spreading to Federal Prisons. It is filled with over 200 pictures, as well as historical documents, many of them never seen before. The Author interviewed multiple NF members and associates as well as had the book reviewed by multiple investigators who directly worked the NF including some recent prison investigators. It also shows ways we might prevent prison violence and recruitment into these gangs. The book has a 11 pt. font which is readable by most people who don't need glasses, but is available in larger font for those who wish it. The History of the Black Guerrilla Family tracks the evolution of the BGF from George Jackson and other early Black prisoners until the recent hunger strikes in California. It shows how the BGF spread into the Federal system and Maryland-DOC. It also shows ways we might prevent prison violence. The book has a 12 pt. font so take the 1 star reviews with a grain of salt, but it is available in larger font for those who wish to see it bigger. 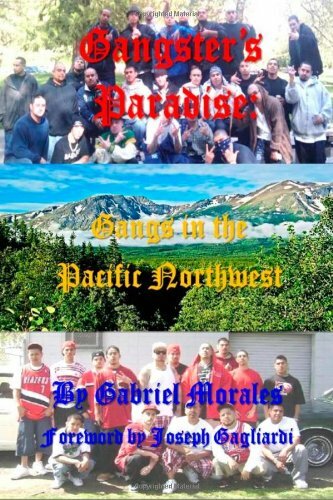 This in-depth book covers the history of gangs in the Pacific Northwest like no work ever before. It is filled with pictures and details that only an insider would know. The Author has interviewed many gang members, cops, and corrections to bring you up to speed on who's who and what's what on the street...you won't be able to put it down! 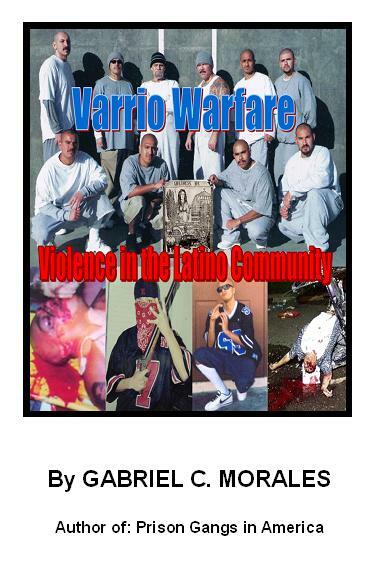 "Varrio Warfare: Violence in the Latino Community" covers the evolution and psychology of Latino gangs and the effects of violence on our entire community. Gabriel Morales is a Gang Specialist with extensive experience working with juvenile and adult offenders for over 30 years. He has taught Gang I.D. and Management to thousands of criminal justice workers. He was the Founder and a past Advisor for the Int'l Latino Gang Investigators Association. 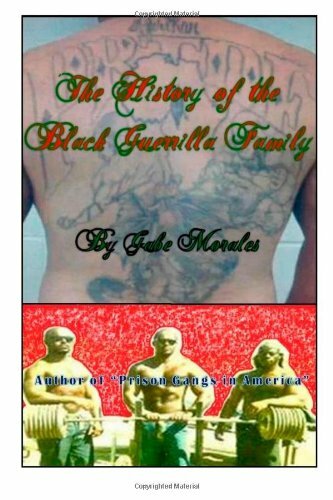 He also wrote "La Familia: Prison Gangs in America" and many other books including an autobiography entitled "The Life & Times of a Vato Loco." 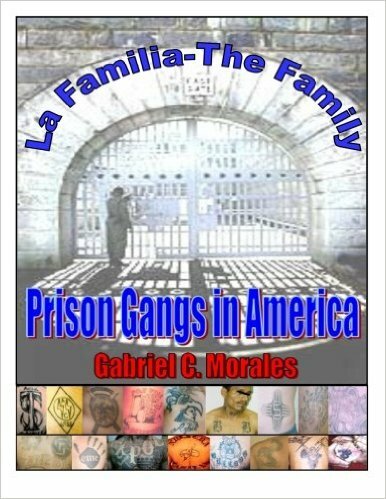 Gabe Morales is the author of numerous articles, is a frequent lecturer and has written previous books such as: "Varrio Warfare: Violence in the Latino Community", "La Familia-The Family: Prison Gangs in America", and "Gangster's Paradise: Gangs in the Pacific Northwest". He also has written Poetry and is an Artist. This latest book is a reflective autobiography about growing up in the U.S. and his efforts at reforming the criminal justice system. This book gives an overview of all of the major gangs in Texas and includes personal stories and insights from investigators who actually worked many cases. 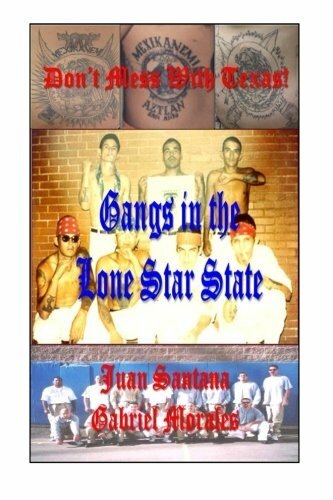 It is a must have for anybody who deals with gangs in Texas or interested in combatting them. This book follows events leading up to the Mexican-American War, Chicano Resistance, Gang Evolution state by state, as well as Prevention, Intervention & Suppression Efforts. It also describes how, for a short time period anyway, many people in the Southwest joined a "Movement of Carnalismo", and how many let that peace slip away into the "Chaos" of gangs. 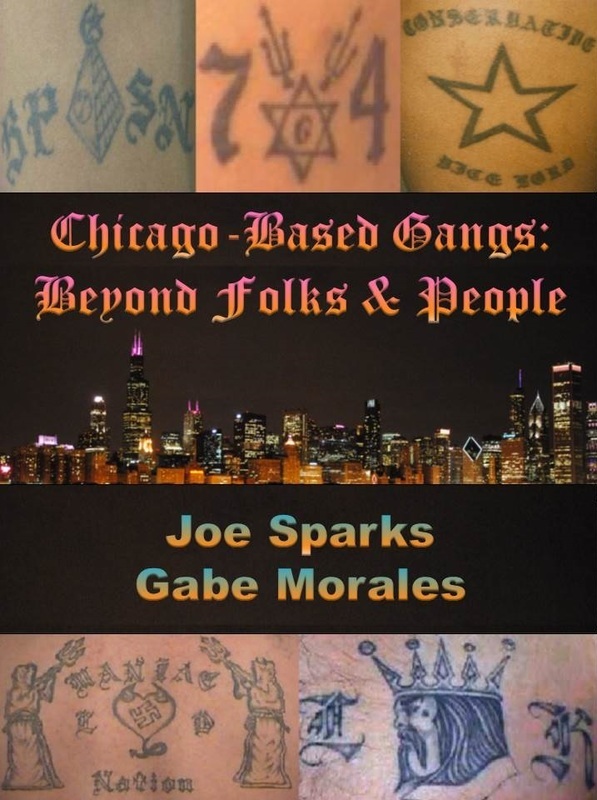 This book covers the growth of Chicago gangs in the early 1900s, the post-WW II explosion of Biker and Jacket gangs, to the turbulent 1960s and formation of 1970s gang alliances, up to today when these gangs have impacted many U.S. areas far beyond the Windy City. It is co-authored by a retired cop from Chicago PD's Gang Unit who saw firsthand the death and destruction that accompanied these groups. It also covers ways we might prevent such violence in the future. "Prison Gangs in America" is the most comprehensive book ever written on major gangs in United States prisons. It includes hundreds of rare photos and descriptions of violent events, many times first hand accounts, by the Author who spent over 30 years working behind the walls and researching the subject. 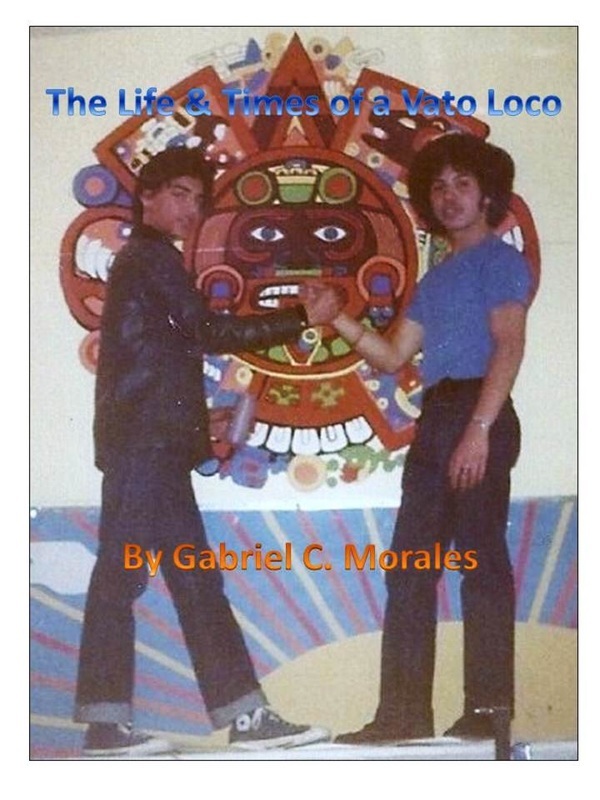 Focuses on Chicano/Latino influences of the Hip Hop Movement. 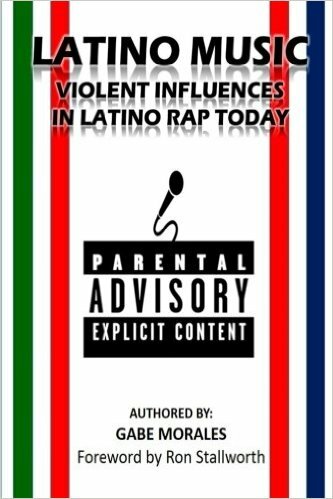 The book documents early Chicano/Latino rap evolution and analyzes its role in violence among young people. The Author was involved in the late 1970s Hip Hop scene and watched it spread from New York City to cities like Seattle and Los Angeles. While it started out as an alternative to gang culture and was supported by many people in the community including probation officers and gang intervention workers, some rappers gravitated towards "gangster rap", they glorified violence. The Author describes how this music has influenced society in negative and positive ways. 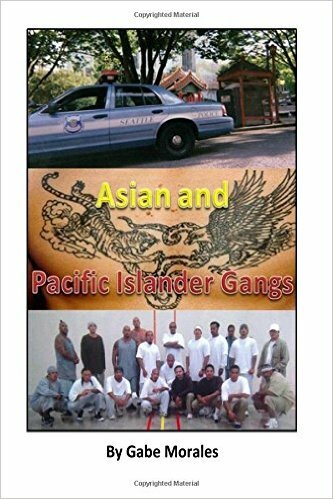 This book covers the history of Asian and Pacific Islander Organized Crime and Street Gangs. It discusses violence and criminal impact on Asian/PI communities and all of us. Also talks about Law Enforcement response and community reaction to these worldwide criminal organizations. 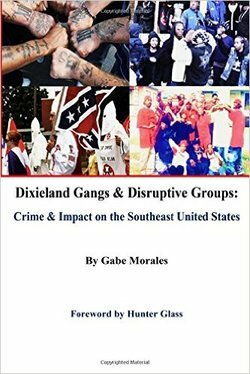 Includes the history of disruptive groups and street gangs active within this area from mid-1800s to date, but one cannot understand well their origins or why they exist today without understanding the history of the South. Crime groups in the southeast portion of the United States run from fairly unorganized groups like “Moonshine Operations”, to full-fledged street gangs, prison gangs, motorcycle gangs, and organized crime. While they may not meet the definition of a “street gang”, criminal groups in the southern part of the United States have existed much longer than most people realize. The Author researched material in-depth, and interviewed numerous individuals, including gang members and local law enforcement, in particular nationwide gang expert Hunter “Gator” Glass, Adam Schniper who was a past President of the Alabama Gang Investigators Association, and Carter F. Smith who was a Founding Board Member of the Tennessee Gang Investigators Association, to give you an up to date picture of gangs in the southeast United States and their impact on crime and communities.